I can’t get enough candles. Prior to finding Brooklyn Candle Studio I would buy any and all candles no matter if they were soy based or not. 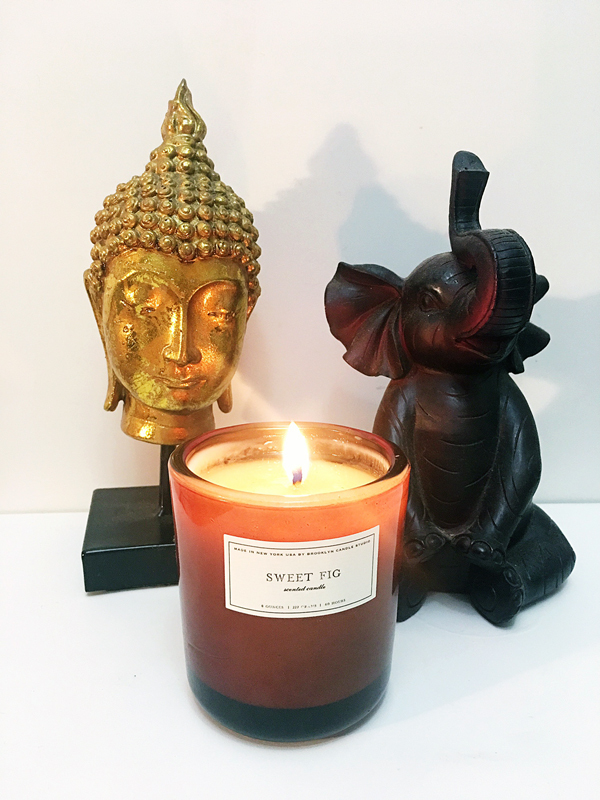 Today, I look at candles a little more critically and will be focusing my candle buying on soy wax candles. Why? While soy candles look and smell similar to their paraffin counterparts, they offer distinct advantages. Soy candles are made from soybeans, a natural, renewable source grown in many regions by local farmers while paraffin candles are made from petroleum, which is a nonrenewable source that contains carcinogenic substances. YUCK! Not only do soy candles support local agriculture and farmers but they also burn cleaner with little soot released as the candle burns. Not convinced about making the switch? Order a candle (or two) from Brooklyn Candle Studio. I highly recommend their Fern + Moss Amber Glass Candle and their Sweet Fig Amber Glass Candle.